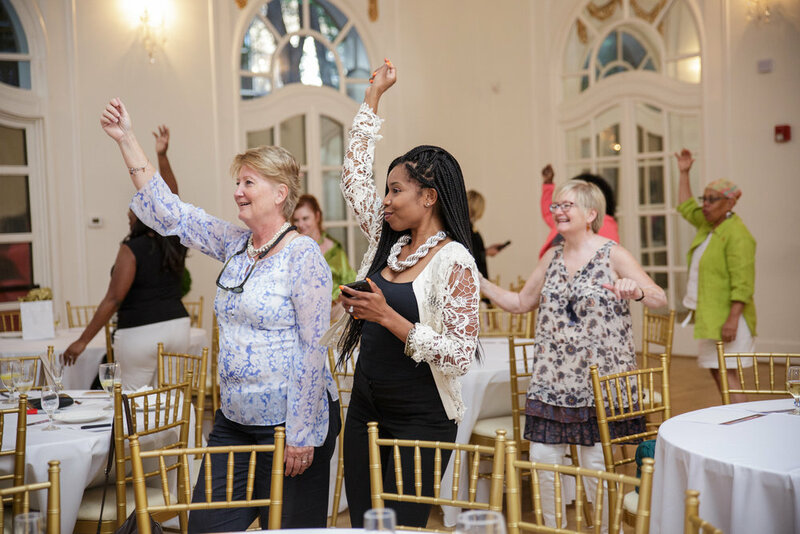 We empower generations of women through dance and movement. Our mission is to offer a safe and encouraging environment where women and girls can exude confidence unapologetically, embrace their individuality and empower each other. Stay updated on our Empower Hour sessions and great news. Did we mention you get a free empowerment assessment when you sign up?! Thank you for your subscription! Check your email for a confirmation and your free empowerment download! A 60 minute experience focused on encouraging and uplifting our Phenomenal Tribe. Expect an energizing and safe space where you can build your tribe and go on a journey of growth and discovery. An intimate and customized empowerment experience for individuals or small groups. A popular session for birthdays, bachelorette parties and celebrations. Be bold and confident with Lanita. 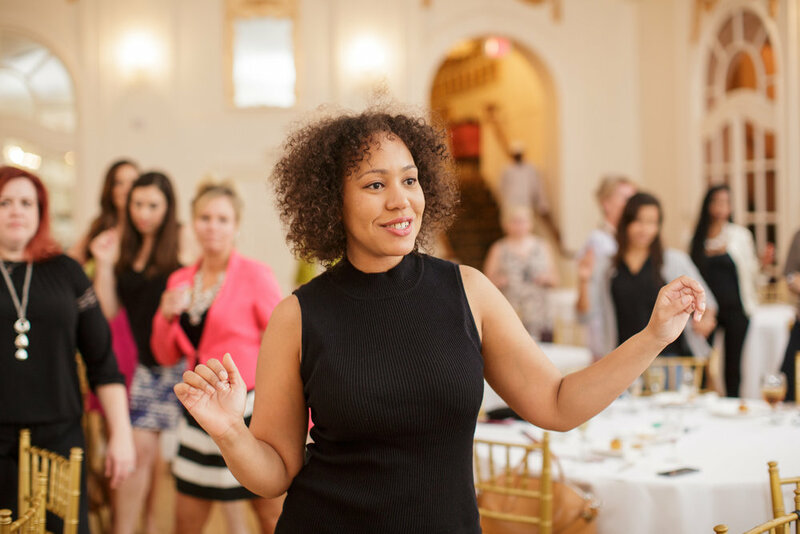 Invite Lanita to host an Empower Hour at your next conference or event. Our experience is designed to stand alone or complement any panel, networking, or other activity. "I appreciate how Lanita broke down the movements, gave us tips along the way and made sure that we were all following." "After the class I felt empowered and excited. 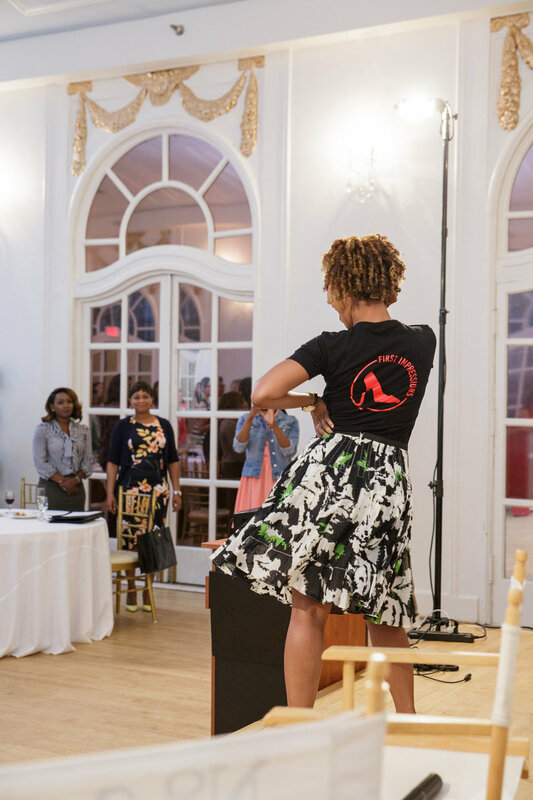 I'm happy to support a movement that through dance will help women from a variety of backgrounds reach their personal and professional goals." "I enjoyed the special attention that Lanita provided. She ensured that the participants were catching on and truly making the most of the experience." "I really enjoyed the First Impressions dance class because it was a supportive environment with fun music and great people." "First Impressions creates an atmospere where we can be vulnerable and open to being around other women in a noncompetitive environment. No one is perfect. We are all trying and working together to have a great time." "I took the class to get away from life stress. I love the platform of female empowerment and can't wait to take more classes in the future." "First Impressions helps me to feel comfortable in my own skin regardless of societal pressures. The instructor, Lanita, challenges you to come out of your comfort zone and to work on commanding the room in your everyday life." Are you ready to empower and uplift your community? Click the button below to work with Lanita for your next event or private session. Thank you! We will be in touch with you shortly to discuss your inquiry.